​Please use the Contact Form if you'd like more information. January - choice of any Hamish Macbeth book by M. C. Beaton. 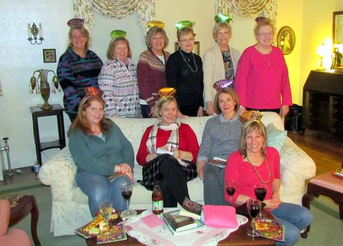 Becky's Book Club had a wonderful discussion of "The Iron King" as they celebrated Mardi Gras.